Rare Privilege features Maria Terres on fiddle and Amy McFarland on piano. They play traditional fiddle music from Ireland, Scotland, England, Canada, Scandinavia, and the US. Based in Wisconsin, they have performed throughout the US and Canada. Their music has often been described as “way more sound than we ever thought two instruments could make.” Devotion to their individual instruments, a sense of innovation, and a deep love and respect for the living tradition of folk music and dance combine to give their music an imaginative and lyrical energy and drive. English country dancing may be done in Evanston, in Oak Park, and at Fermilab in Batavia. 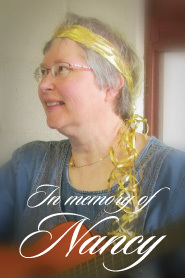 This site is dedicated to the memory of our friend, Nancy Good, who loved us with her many talents. We are grateful to her family for helping to make this site possible.